Browse the entire TED Talks video library, with subtitles in over 100 languages. Listen to episodes of the acclaimed TED Radio Hour podcast, a co-production of NPR and TED. Download video or audio of talks for offline playback. Discover inspiring, funny, or jaw-dropping talks and curated playlists. Play on your device or send to your home entertainment system via Chromecast or with Android TV. All of this is free. There is no cost to you for the app or to watch these videos or listen to the audio. 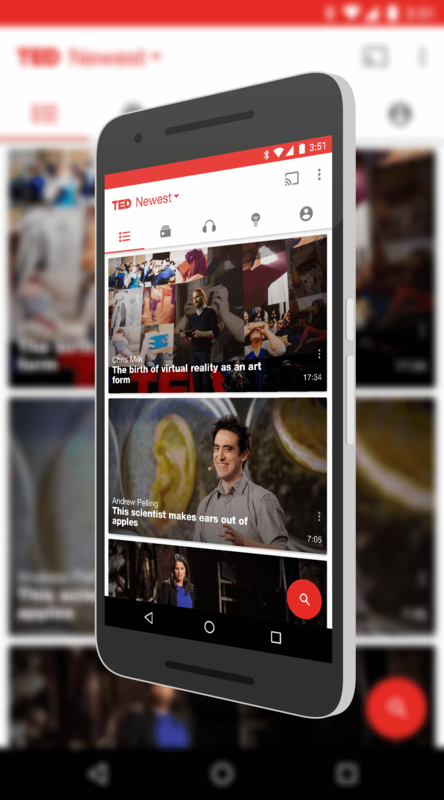 If you want to expand your knowledge and have some thought provocation, I strongly suggest checking out this new-and-improved TED Talks app and its content.